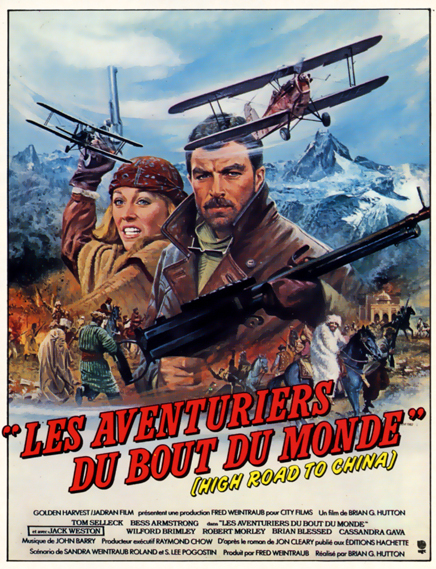 A Day For All Nights: High Road to China / Les Aventuriers du bout du Monde / Höllenjagd bis ans Ende der Welt / Avventurieri ai confini del mondo / La gran ruta hacia China / Los Aventureros del fin del Mundo / Podniebna droga do Chin (1983). 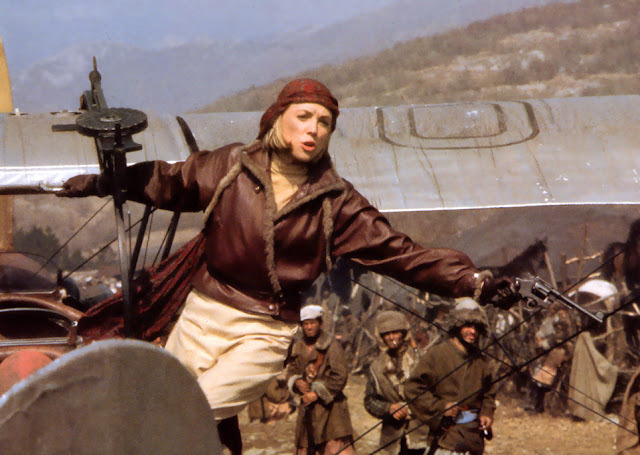 Like a lot of people, I saw “High Road to China” after “Raiders of the lost Ark” (Steven Spielberg /1981). 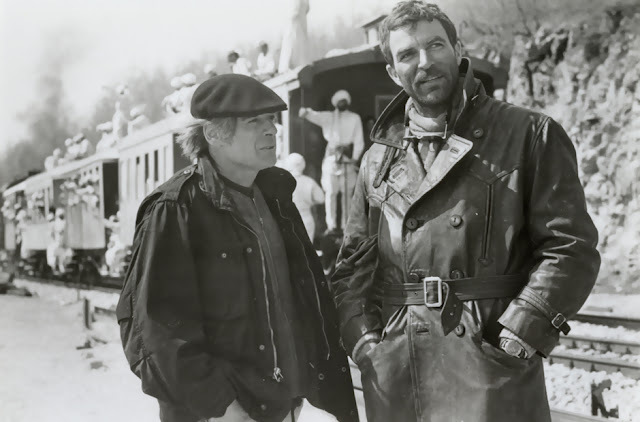 I have always considered Hutton’s movie as one of the greatest adventure movies ever made in the 80’s. 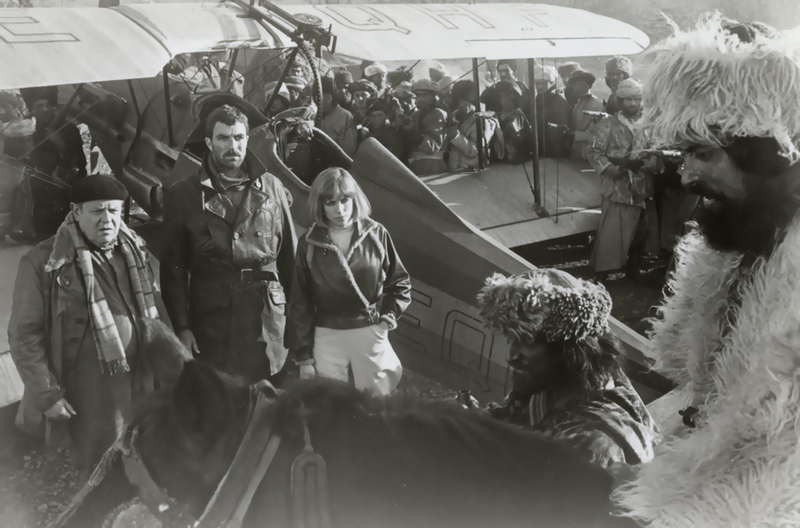 At that time, some rumors said that the lead role of the movie was given to the talented Tom Selleck as a consolation prize for having to pass on Spielberg’s movie. The American actor wasn’t available because he was still under contract with the successful TV Series Magnum P. I. Although, this movie had some very good responses from the audiences all over the world, I have the feeling that today “High road to China” is a underrated movie. Despite all the bad comments, I feel that, it still works very well after so many years because we can find romance, beautiful locations, a lot of fun and excitement moments. Istanbul (Constantinople), 1920. 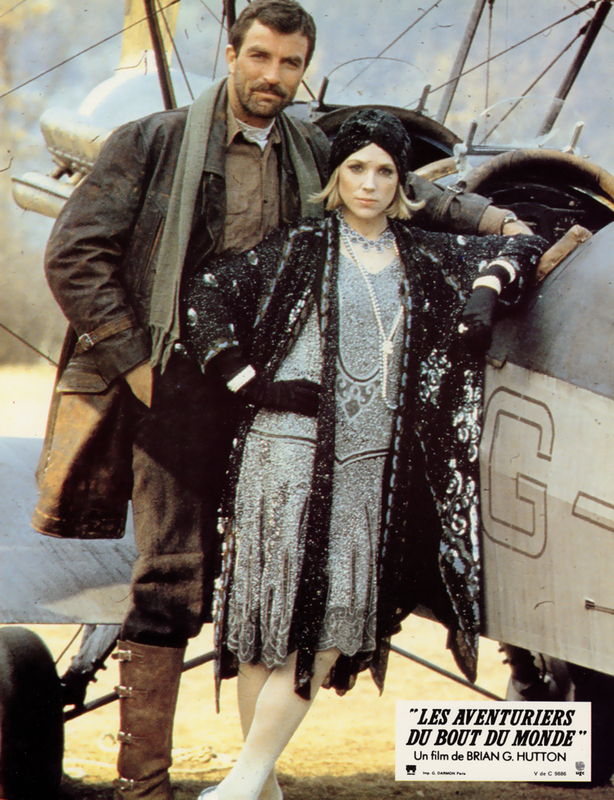 The society heiress Eve Tozer (Bess Armstrong) hires WWI ace-pilot Patrick O'Malley (Tom Selleck) with his two biplanes (named Dorothy and Lillian) to find her missing father Bardley Tozer (Wilford Brimley) a millionaire munitions inventor. They have only twelve days before her father will be officially declared dead if not she would lost her inheritance in favor of the father’s unscrupulous and scheming business ex-partner, Bentik (Robert Morley). Despite all the dangers, the young woman who is also an accomplished pilot, is determined to accompany O'Malley and his loyal mechanic and friend Struts Boose (Jack Weston) through the countries of two continents between Turkey and China. The movie version of “High Road to China” is based on a novel written in 1977 by the Australian author Jon Stephen Cleary (1917 / 2010). Cleary was the prolific and successful writer of “The Sundowners” (3 million of copies sold in 1952) which was adapted for the screen by Fred Zinnemann in 1960 with Robert Mitchum and Deborah Kerr. Eight years after, the first chapter of the Scobie Malone adventures “The High Commissioner” (1966) was shot for the screen by Ralph Thomas (“Nobody Runs Forever” / 1968) with Rod Taylor and Christopher Plummer. Soon after his publication, the film rights of “High Road to China” were bought and a film adaptation was planned with several actors (Roger Moore, Jacqueline Bisset, Bo Derek…). 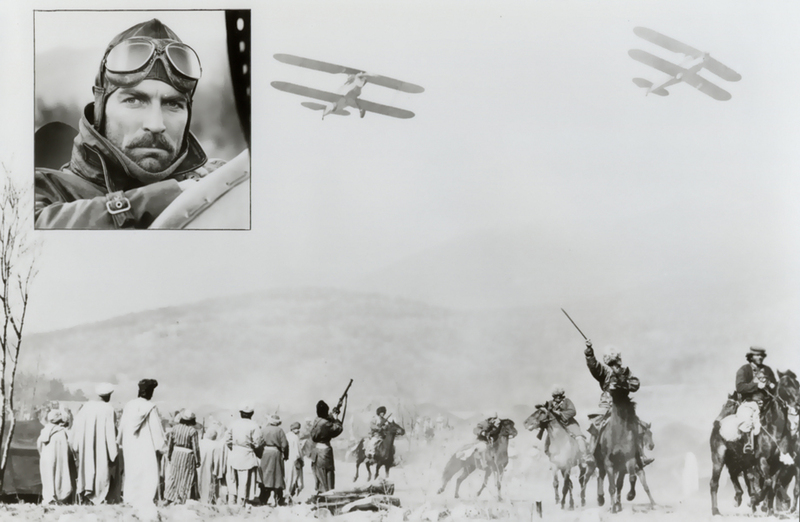 In first, the American legendary director John Huston (“The Man who would be King” / 1975 – see the topic) was considered to direct the movie. Then, he was replaced by Sydney J. Furie (“The Ipcress File” / 1965) but eventually it was the veteran American actor-director Brian G. Hutton (“Where Eagle Dares”/ 1968) who was chosen to direct the movie. Cleary regarded this film adaptation as one of the greatest disappointments in his career because of a large number of changes was made from his book. Notably in the original story, the Eve character looks for her father with the help of two pilots, one of them is a former German fighting ace whose part was written off from the final script. 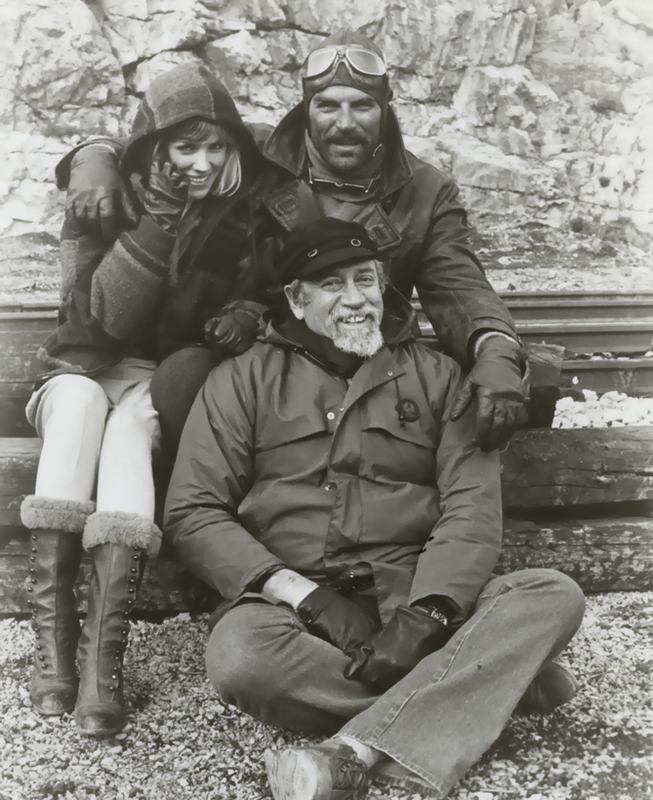 The Producer Fred Weintraub (“Woodstock” (Michael Wadleigh / 1970), “Klute” (Alan J. Pakula / 1971), “Summer of ‘42” (Robert Mulligan / 1971), “Enter the Dragon” (Robert Clouse / 1972), “Tom Horn” (William Ward / 1980)) hired Sandra Weintraub Rolland and S. Lee Pogostin to write the screenplay. Fred Weintraub managed to gather a huge budget of near 15 $millions. The Chinese origin producer Raymond Chow (“Enter the Dragon” (Robert Clouse / 1972)) joined him as an executive producer. They were supported by co-producers companies (Golden Harvest and Jadran Films for City Films) and Warner Bros Pictures took the distribution for the USA. Among the big technical team, the talented cinematographer Ron “Ronnie” Taylor (“Tommy” (Ken Russell/ 1975), “Gandhi” and “Cry Freedom” (Richard Attenborough / 1982 / 1987)) and Robert Laing, the producer designer (“Gandhi” (Richard Attenborough / 1982)) were chosen by the producers. 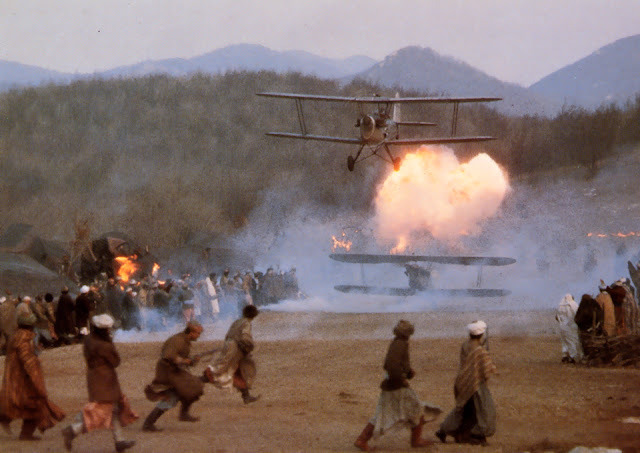 Peter Allwork ((“Von Richthofen and Brown” (Roger Corman / 1971), “The Eagle has landed (John Sturges / 1976), “Indiana Jones and the last Crusader” (Steven Spielberg / 1989)) was the courageous director of photography for the aerial sequences. After Roger Moore declined, it was the very popular American actor, Tom Selleck (“Magnum P. I. (Ray Austin, Michael Vejar, Ivan Dixon / 1980-1988), (“Runaway” (Michael Crichton / 1984), “Quigley Down Under” (Simon Wincer / 1990)) who portrayed Patrick O'Malley, the down–and-out ex-air ace of the WWI. The talented and gorgeous American actress, Bess Armstrong (“Jaws 3-D” (Joe Alves / 1984), “House of God” (Donald Wrye / 1984)) played Eve Tozer, the fun-loving socialite who hires O'Malley/Selleck to help her in her quest. For the supporting roles, a host of talented actors complete the cast : “Jack Weston (“The Cincinnati Kid” (Norman Jewison / 1965), “Dirty Dancing” (Emile Ardolino / 1987)…), Wilford Brimley (“Cocoon” (Ron Howard / 1985), “The Firm” (Sydney Pollack / 1993)…), Robert Morley (“Those Magnificent Men in their Flying Machines” (Ken Annakin / 1965), “Cromwell” (Ken Hughes / 1970)…), Brian Blessed (“The Last Valley” (James Clavell / 1970), “Hamlet” (Kenneth Branagh / 1996), “Alexander” (Oliver Stone / 2004)…) and Cassandra Gava (“Conan, the Barbarian” (John Milius /1982), “Last Man Standing” (Walter Hill / 1996)…). The making of “High road to China” as an epic adventure film requested colossal efforts and risks from the producers. 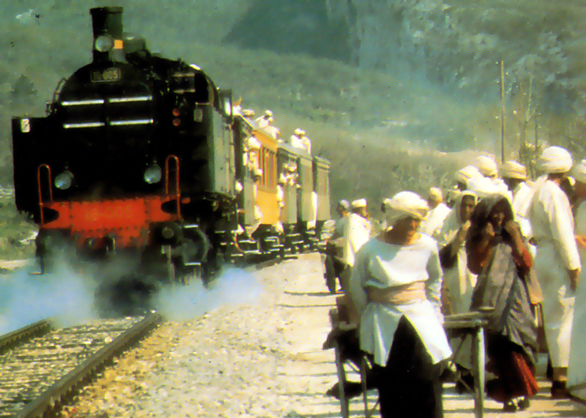 During six months and because of financial reasons, the filming of the movie took place in ex-Yugoslavia (Opatija (a small village on the Adriatic coasts), Ljubijana and the Gulf of Rijeka) and it used between 4,000 to 8,000 of extras especially for the final battle scene with the Chinese warlord troops. 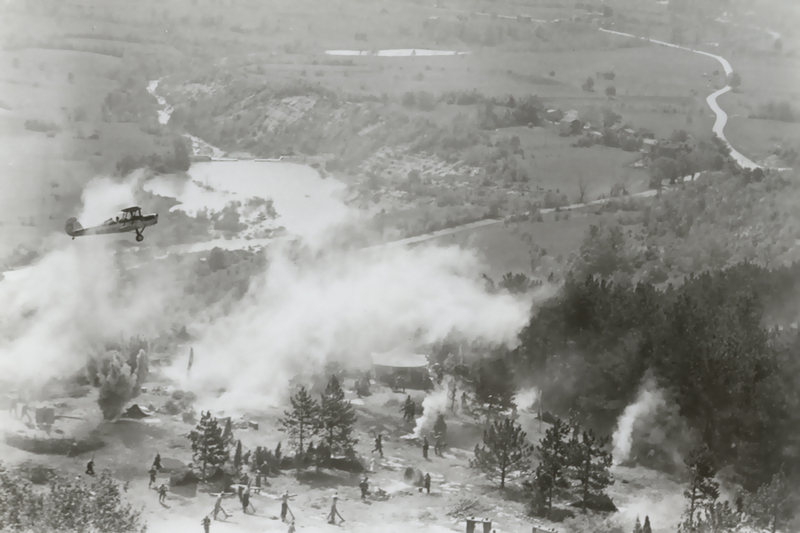 The film technicians and craftsmen crew contained more than 200 people from different countries (Yugoslavia, UK, Italia, USA and France). 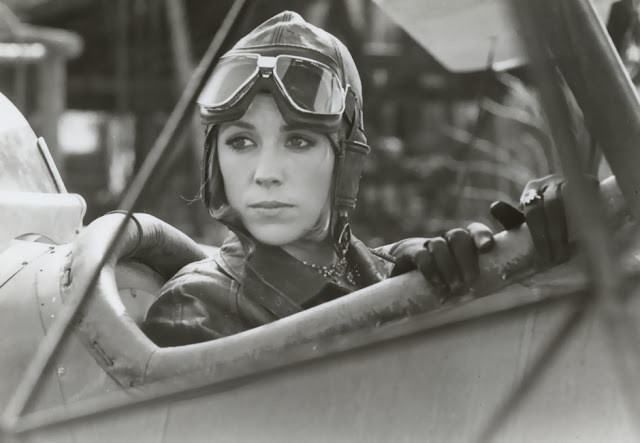 In addition, the impressive aerial battle sequences required to built 5 identical biplanes and hire a team of professional stuntman-pilots (David Perrin, Eric Muller, John Emiljanczyk and Tony Bianchi) with mechanics familiar with the vagaries of vintage aircraft. The movie was shot in Technicolor 35mm (Cameras by Technovision) and recorded in mono sound effect. 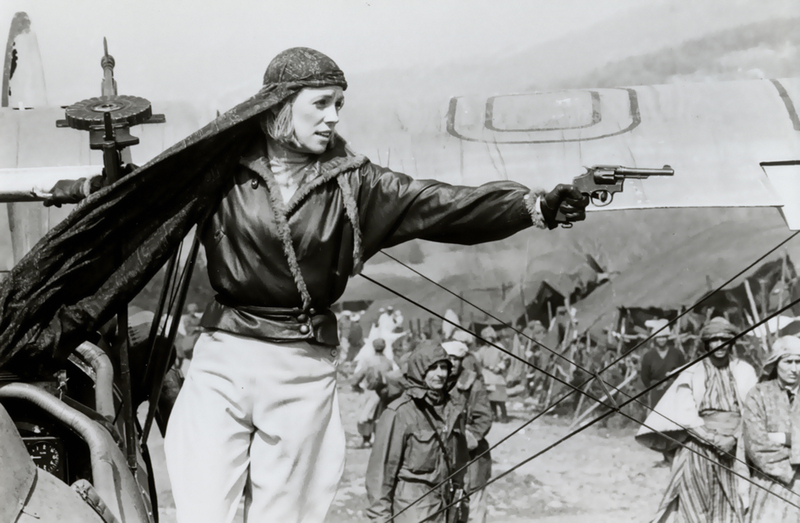 The two names of the two O’Malley’s planes were chosen as a tribute to the famous silent actresses Dorothy and Lillian Gish. The famous and prolific British composer was approached by the producers to write the musical score. For “High Road to China”, the Academy Award winner succeeded to merge the jazz mood of the twenties with a large symphonic orchestra. With “Zulu” (Cy Enfield / 1964), “Born Free” (James Hill / 1966), “The Deep” (Peter Yates / 1977), “Out of Africa” (Sydney Pollack / 1985), it was one of the most beautiful and romantic score ever composed by the British composer for an action-adventure film. Three CD albums were issued from the original soundtrack. In 1990, the first of them produced by Soundtrack Collector’s Special Editions Pry Ltd included the same selection tracks as the Silva screen LP album (12 tracks). Then, two successive CD albums of the complete original score were produced by Super Tracks label (20 tracks) and BuySoundtrack label (21 tracks) with a new remastered sound and bonus tracks. All the three CD Albums contained a special note from Tom Selleck. "For HIGH ROAD TO CHINA, John Barry has composed a musical score which combines the excitement and romance of the film with the nostalgic mood of the music of the Twenties. The musical spectrum covers a potpourri of the genre referred to now as "sounds" and is truly a musical adventure which enhances the spirit of the picture”. 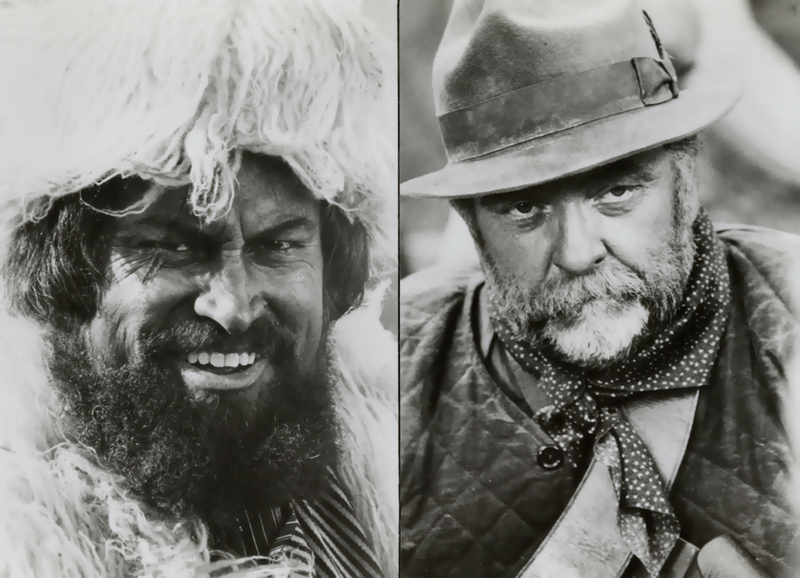 For their first major leading roles, the two actors gave each other a very fine performance. The adversary relationship between “Eve/Armstrong” and “Patrick/Selleck” was very funny and works very well on the screen. Everytime, I can see the movie I enjoy it very much because we already know the ending of their love story. Jack Weston, Wilford Brimley, Brian Blessed and Cassandra Gava were just perfect. 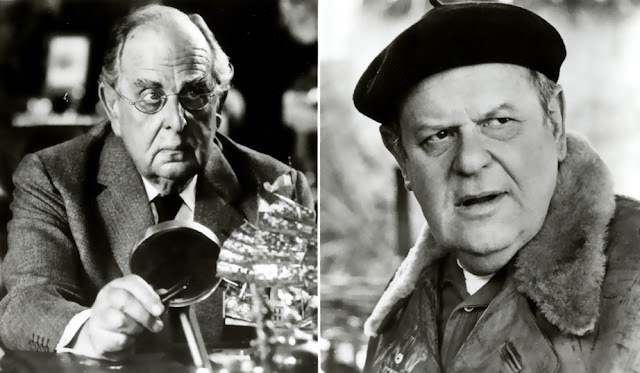 For one of his last role on the screen, the great legendary English actor Robert Morley gave one of his funniest part. In March 1983, the film was released in America and made more than $28 million at the box office. It received also some very good responses from the European and Asian audiences. 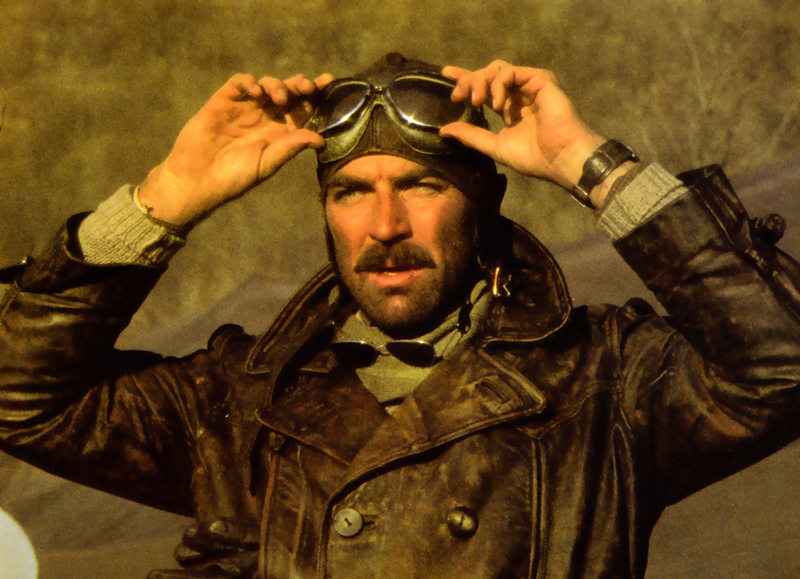 To be reminded : “High Road to China” was the last memorable motion picture by the Hollywood director Brian G. Hutton, whom before gave us such great action-adventure movies as “Where Eagle Dare” (1968) and “Kelly’s Heroes” (1970). A great professional with a great talent : “Well done Sir !”. Even today, I have the impression that “High Road to China” still suffers of the comparison with the first chapter of the Indiana Jones saga by Steven Spielberg (“Raiders of the lost Ark” / 1981). For me, the two movies have nothing in common and I think “High Road…” should deserve a better appreciation. I hope you will agree with me and I invite you to watch again this wonderful entertainment. - “High Road to China” by Jon Cleary (in English), Great Britain Fontana (Paperback - 283 pages / ISBN 006167217 - EAN 9780006167211), 1979, UK. 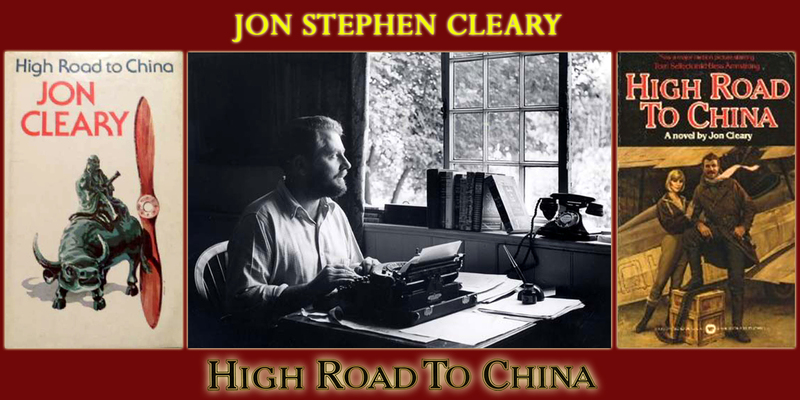 - “High Road to China” by Jon Cleary (in English), Great Britain Fontana (Mass Market Paperback – 283 pages / ISBN 0006154832 – EAN 9780006154839, 1993, UK. - “High Road to China” (1983), directed by Brian G. Hutton, the US Press Kit (in English), Warner Bros, 1983, USA. (This press kit includes photos, movie production information, actors' and actresses' biographies, as well as, synopsis information about the movie…). - “High Road to China” (1983), directed by Brian G. Hutton, Souvenir Book (in Japanese, 20 pages with color and black & white photos), TOWA / Pan Pacific Production INC, 1983, Japan. - “High Road to China” (1983), directed by Brian G. Hutton, the official Poster magazine, Starlog Theater Merchandising Group (N°0931056461-9ISBN), New York, 1983, USA. - “High Road to China” (1983), directed by Brian G. Hutton, the official Movie magazine (67 pages with color and black and white photos), Starlog Theater Merchandising Group, New York, 1983, USA. - “High Road to China” (1983), directed by Brian G. Hutton, People Weekly magazine (6 pages with black & white photos), Chicago, 1983, USA. 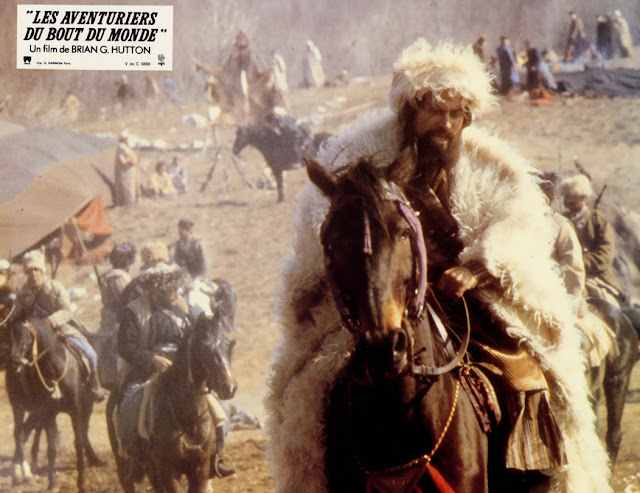 - “High Road to China / Les Aventuriers du bout du Monde” (1983), directed by Brian G. Hutton, Le journal de Tintin (In French, 3 pages with color photos), Volume N°21 / 38 TH year, N°402 (May, 24 TH), 1983, Paris, France. - “John Barry – The Man with The Midas touch” by Geoff Leonard, Peter Walker and Gareth Bramley with a foreword by Don Back O B E (in English), Redcliff Press Ltd, 2008, Bristol, UK. - “John Barry – A life in Music” by Geoff Leonard, Peter Walker and Gareth Bramley (in English), Samsom & Company, 1998, Bristol, UK. - “John Barry – A sixties Themes” by Eddi Fegel (in English), Constable & Company Ltd, 1998, London, UK. - “High Road to China” by Brian G. Hutton, 1983 / 2011, Seven 7 Video, DVD zone 2, Ref / ASIN BOO56JO1N2, Wide Screen Edition, Mono Sound, Pal, 1.66.1. French language, France. 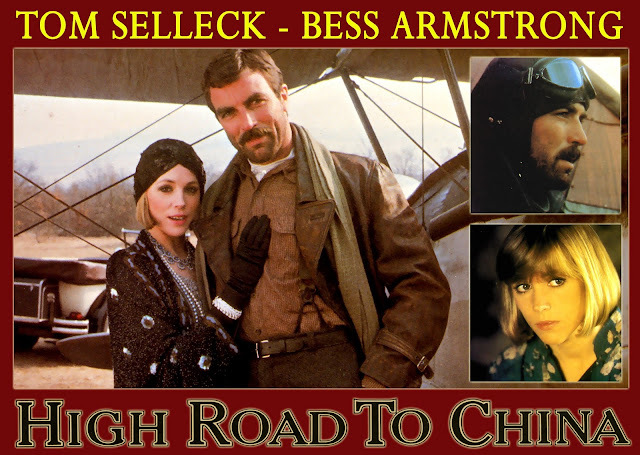 - “High Road to China” by Brian G. Hutton, 1983 / 2012, Henstooth Video, US Blu Ray Region A, Ref / ASIN BOO744WZ0I, Wide Screen Edition, NTSC, 1.77.1. English language, English Subtitles, USA. - “High Road to China” by Brian G. Hutton, 1983 / 2013 ,Umbrella Entertainment Pty Ltd, Blu Ray Region B, Ref / EAN 9344256006180, Wide Screen Edition, Pal, 1.77.1. English language, Australia. - Original CD Album of “High Road to China” by John Barry, Source Music Orchestration by Albert Woodbury (12 tracks - Stereo – 30,06 minutes) Soundtrack Collector’s Special Editions Pry Ltd (Southern Cross), 1990 - SCSE CD 2 ; SCSE CD-2-G (Gold re-pressing / 750 copies), USA ; Reissue by Hot / Didgeridoo / Buttermilk Sky Music Pry Ltd and Fifth Continent Australian Pry Ltd, 1999 - SCCD 1030, UK. This album contains a special note by Royal S. Brown and Tom Selleck. - Promotional CD Album of the complete original Score of “High Road to China” by John Barry, Source Music Orchestration by Albert Woodbury (20 tracks - Stereo – 57,50 minutes) Super Tracks Music Group Garden Grove CA ; JBCD 01, 2000, USA. This album contains a special note by Royal S. Brown and Tom Selleck. 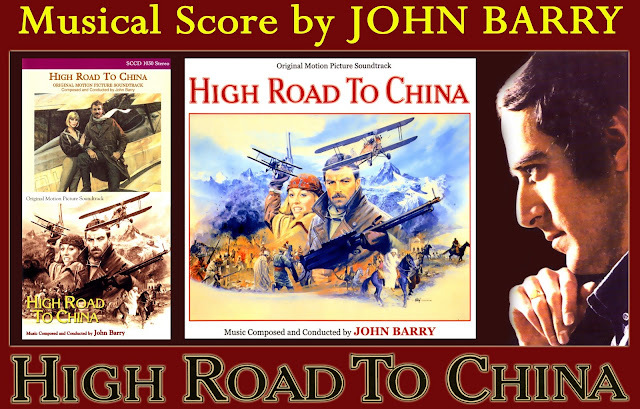 - CD Album of the complete original Score of “High Road to China” by John Barry, Source Music Orchestration by Albert Woodbury (21 tracks - Stereo – 66,56 minutes), BuySoundtrack Records, BSXCD 8864, 1984 / 2010, USA. This album contains a special note by Mike Joffe Royal S. Brown and Tom Selleck. 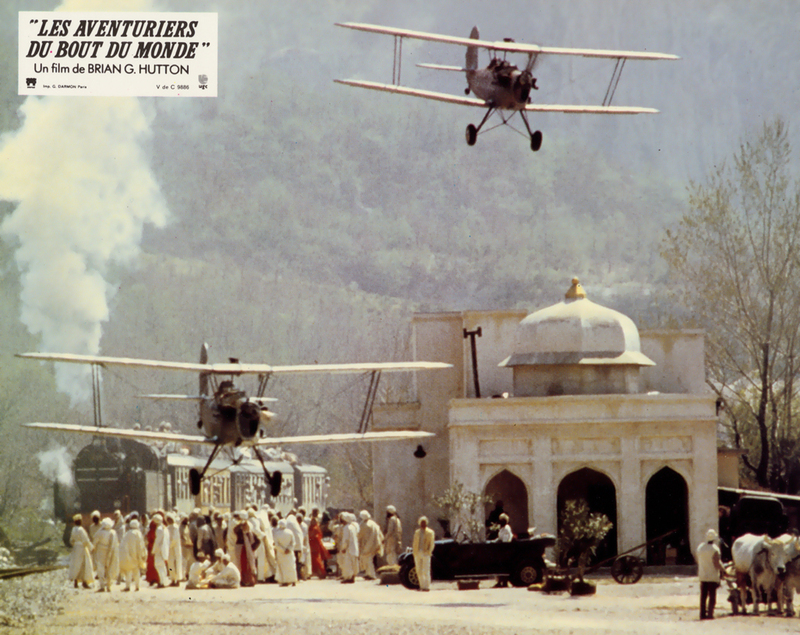 - LP Album “High Road to China / Les Aventuriers du bout du Monde” by John Barry, Orchestration by Albert Woodbury (12 tracks - Stereo), Siva Screen N°Film 001, 1983, USA. 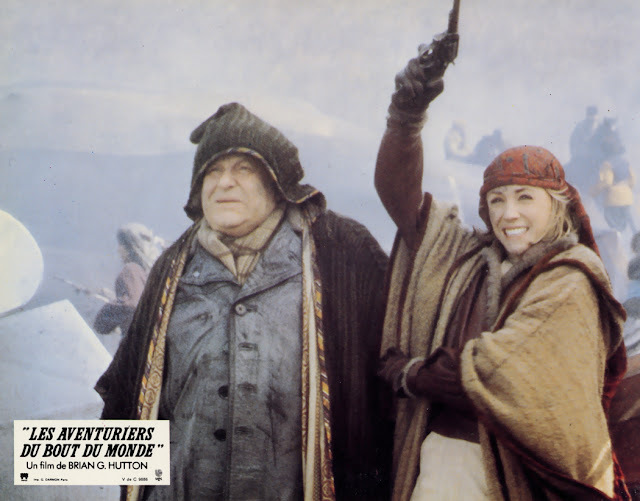 - LP Album “High Road to China / Les Aventuriers du bout du Monde” by John Barry, Orchestration by Albert Woodbury (12 tracks - Stereo), A & R N°FILM 001, 1983, USA. - LP Album “High Road to China / Les Aventuriers du bout du Monde” by John Barry, Orchestration by Albert Woodbury (12 tracks - Stereo), Claap Premiere N° CL 2002, 1983, France. - LP Album “High Road to China / Höllenjagd bis ans Ende der Welt” by John Barry, Orchestration by Albert Woodbury (12 tracks - Stereo), Corona N° 013010, 1983, Switzerland. Suite from “High Road to China” (8:01 Minutes) performed by The City of Prague Philharmonic Orchestra with The Crouch End Festival Chorus [“John Barry – The Collection / 40 years of film music” – Box (4 CD set / 56 tracks), Filmxcd N°349, 2001, London, UK].